BRYAN EATON/Staff photo. 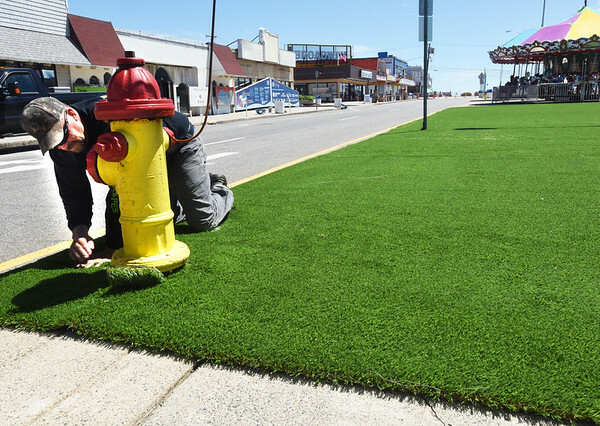 Tom Moulton of TM Turfscapes in Hamilton installs turf at Salisbury Beach on Broadway on Wednesday. The green turf is just one of the ongoing improvements to the beach center.